*This is a sponsored post on behalf of HoneyBaked Ham. I received a gift card to purchase and share HoneyBaked Ham products with my family. All opinions are 100% mine. One of the things that I love about Thanksgiving is being able to spend time with my family and taking the time to reflect on all of the things that we have to be grateful for. I’m not going to lie, though. Sometimes it seems like you spend HOURS creating the perfect meal, and then it’s gone in 20 minutes and you still have to clean everything up! 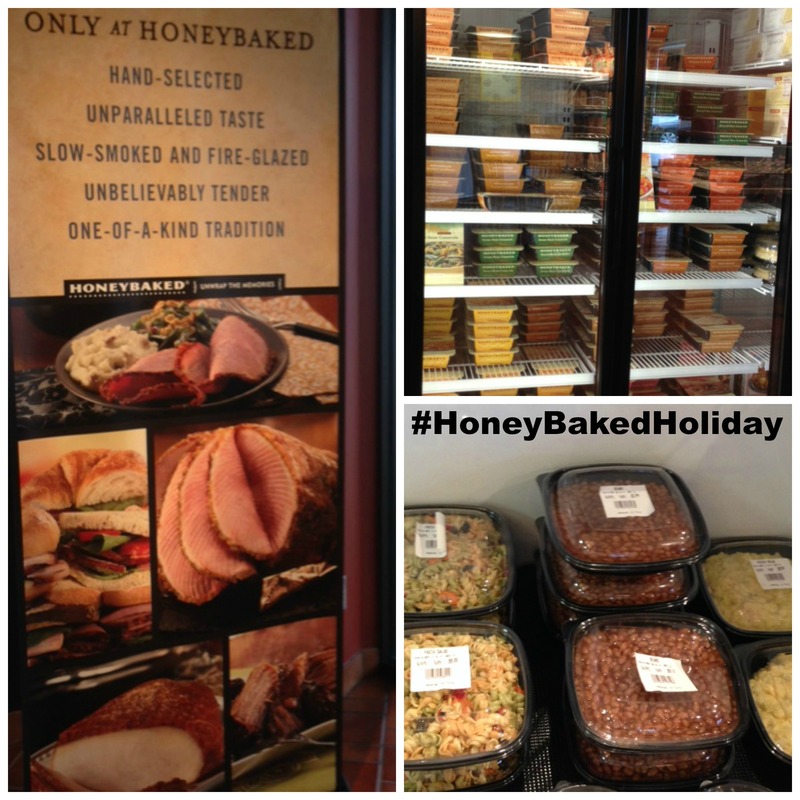 This year, simplify and let HoneyBaked Ham take care of your Thanksgiving dinner! I have always loved HoneyBaked Ham products, and I was thrilled to be given the opportunity to visit my local Houston Memorial Drive store to check out everything that they have to make your Thanksgiving dinner a BREEZE! They have both ham AND turkey and I got one of each! They also have all of your classic sides including herb stuffing or cornbread dressing, garlic mashed potatoes, green bean casserole, and sweet potato souffle! For those who are more “health conscious” they have mashed cauliflower and orange basil glazed carrots. They’ve even got things like pasta salad and baked beans! I got the sweet potato souffle, potatoes au gratin, mashed potatoes, and herb stuffing! Serve them in your favorite serving dishes and no one will know you didn’t spend hours slaving in the kitchen!!! You don’t even have to worry about dessert! They’ve got plenty of options, and this is where I had the hardest time making a decision! They have carrot cake, a cheesecake sampler, cinnamon walnut coffee cake, and more! I settled on an Apple Caramel Walnut Pie. Sounds AMAZING, right?! The preparation is SIMPLE!! Since the meat is pre-cooked, you only have to re-heat it! For the turkey, it just needs to be heated for 30 minutes in the oven! 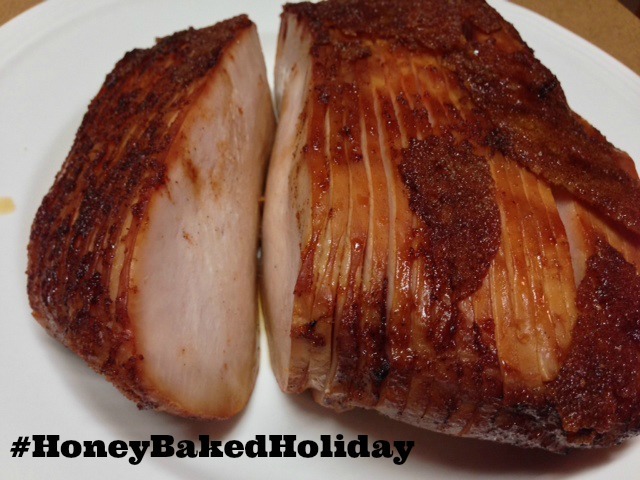 The turkey comes pre-sliced, which is a HUGE life saver, and if you’ve never had it before, the glaze is SO good! We will enjoy our leftovers on sandwiches this next week! The best part?!? Because you didn’t dirty a bunch of dishes, pots, and pans preparing your meal, clean up is MINIMAL!! Make sure you join their VIP Club for coupons!! 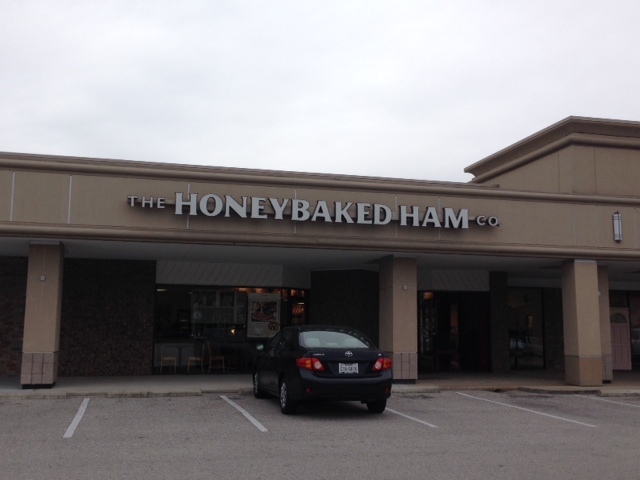 HoneyBaked Ham is also giving away $500 in Gift Cards to some of your favorite places! You can enter below! Gas is a HUGE expense for us each month and I’m always looking for ways to cut down on expenses. Right now, Shell has an AWESOME giveaway offer! You can enter to win a free year of gasoline! Imagine how much you could save if you won that?? 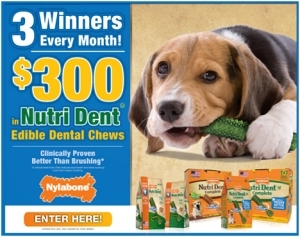 Win $300 in Nylabone FREEBIES for your dog! My dog LOVES to chew! We love Nylabone products because they hold up better than any others that we’ve tried! Right now, you can enter for a chance to win $300 in Nylabone FREEBIES for your dog! 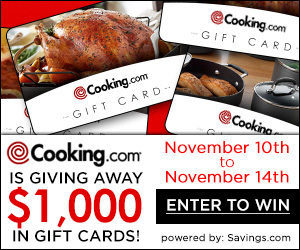 This contest runs through 9/22/14 and winners will be announced on 9/29/14. 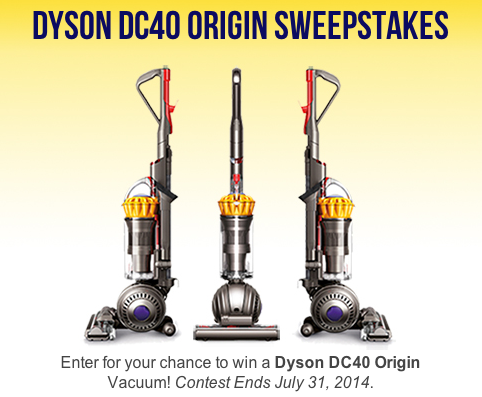 Win a Dyson DC40 Vacuum Cleaner! If you need a new vacuum or you’ve always wanted a Dyson, enter for your chance to win a Dyson DC40 vacuum cleaner! I would LOVE to win this one! Entry is super simple! Just enter your e-mail address and that’s it! GOOD LUCK and let me know if you’re a winner!